Timber and timber veneer surface treatments are a dominant leading edge trend for 2015. Taking cues from stone palettes with interesting new ‘cool greige’ tones provides textural interest in both bathrooms & kitchens. “This trend featured strongly in the Kitchen space at Eurocucina this year and will be a strong direction for bathroom palettes as well” says Kofoed, “particularly as Kiwis love to use natural products in their design outlook”. 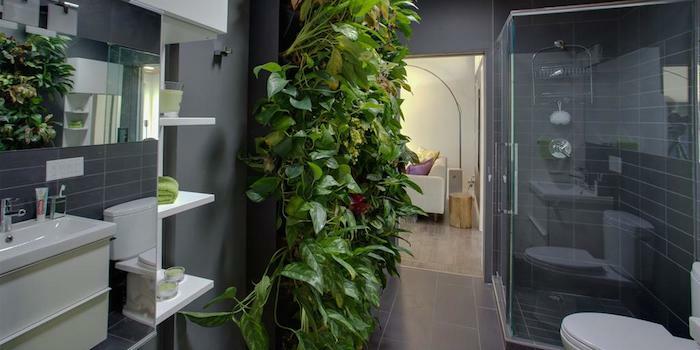 We are also seeing the mainstreaming of the ‘home spa’, with an ever increasing proportion of customers demanding a more sensory experience from their product selection. Discerning consumers are gravitating towards luxury features such as two person bathing or showering with overhead rain cans, side water jets, massage jet functionality, steam showers and the like, as these former luxuries become more and more affordable for the design-conscious. Further to this trend, says Kofoed, is the conversion of bathrooms to wet rooms. The wet room needs to be a strong consideration with bathrooms utilising more water in terms of both steam and water pooling. “While wall to wall tiling is definitely a more expensive and time consuming option, a full wet-room will increase the lifespan of the bathroom by an extra five years at least” says Kofoed. If you’re looking for help finding a bathroom designer in Austin, we can help!